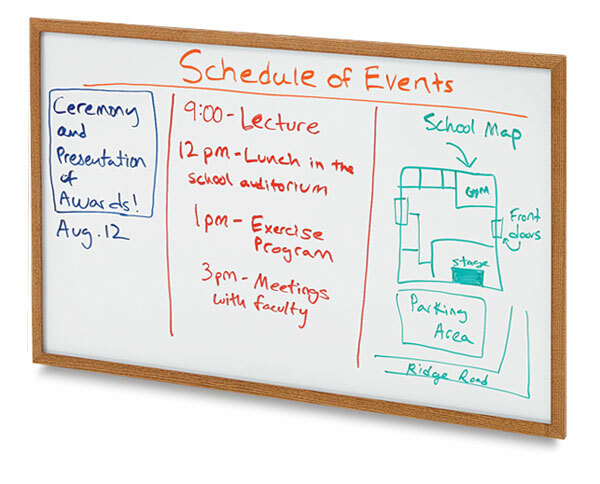 DooleyBoards Oak Framed Dry Erase Markerboards feature a premium, non-ghosting dry erase surface attractively framed in solid oak. Mounting hardware is included. 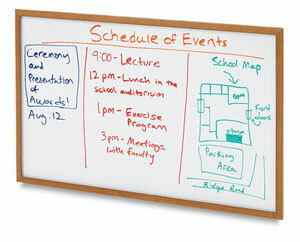 Dry erase markers are sold separately. DooleyBoards are proudly made in the USA. Note — Sizes given are exterior dimensions. Interior dimensions are approximately 5/8" smaller.